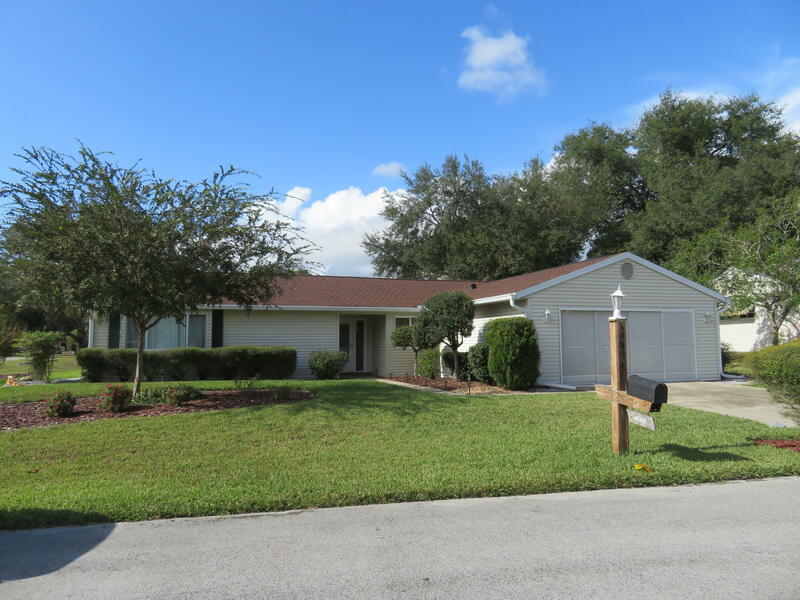 Outstanding 3 bedroom, 2 bath, 2 car garage on .33 corner lot. Beautifully landscaped, Roof replaced in 2015, AC replaced in 2016. New flooring in bedrooms, new carpet in living room. Bonus room off of huge living room. Big Formal dining room. Eat in kitchen with NEW solar tube and tons of cabinets. A pass thru from the kitchen to the bonus room makes for easy entertaining. Ceiling fans in every room. Indoor laundry with storage. BIG 2 car screened garage with wonderful cabinetry for storage. KING SIZE Master bedroom with lovely vanity and separate bathroom with step in shower plus a great walk in closet. This is an outstanding value!